A soloist with the Kennett Symphony and the Warminster Symphony and first-place winner of the PADESTA, the Concerto Soloists, and Cafferata-Jackson Competitions, Cassia’s performances have been broadcast on Philadelphia’s Channel 57 and New York Public Television. Recent performances include concerts at Swarthmore College, the Reading Public Museum, the Ethical Society of Philadelphia, An Die Musik Live, and the German Society of Philadelphia, as well as lecture recitals at Columbia University and Barnard College. Cassia has performed with her sister, Myanna, as part of the Harvey String Duo since 1994. She has been performing with the Philmore Ensemble since 2011 and as a member of the Musicalia Ensemble since 2015. Her recording, The Russian Cello: Rare Treasures from Imperial Russia and the Soviet Union, with pianist Tim Ribchester, is available from Montag Records. 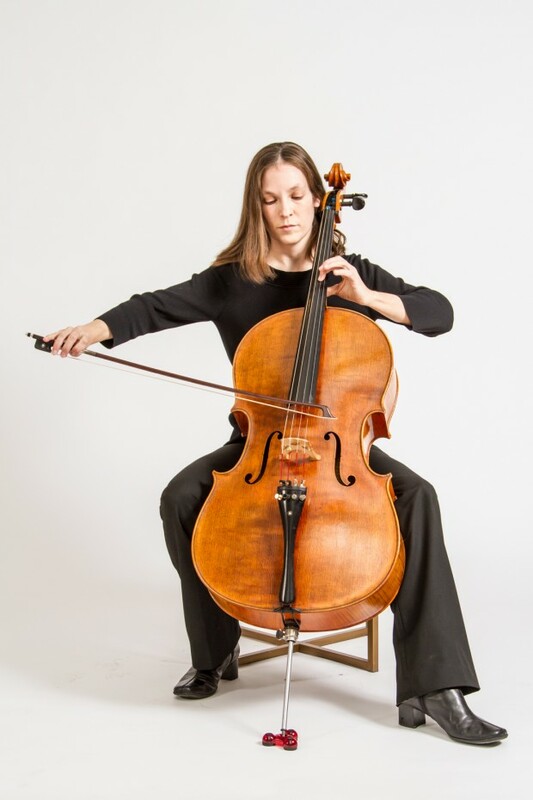 Cassia Harvey has been teaching cello for over twenty years. Her students have been accepted into Philadelphia Sinfonia, Philadelphia Youth Orchestra, and Pennsylvania’s District, Regional, and All-State Orchestras, MENC All-Eastern Orchestra, and the MENC All-National Orchestra. They have been accepted into the Advanced Study Ensemble Program at Settlement Music School, the Masterworks Festival, Meadowmount School of Music, and Tanglewood Music Festival. Cassia’s students have won first prizes in the Korean-American Competition, the Lansdowne Symphony Competition, and in both the junior and senior divisions of the Tri-County Competition. They have soloed with the Bux-Mont Chamber Orchestra, the Warminster Symphony, and the Landsdowne Symphony. Her students have been accepted into schools as music performance majors including Esther Boyer College of Music, Indiana University School of Music, and the Juilliard School. Cassia has authored over one hundred and fifty study books for the classical string instruments, published by C. Harvey Publications. Her books are sold and played worldwide, and were exhibited at the International Cello Congress in Kobe, Japan. Myanna Harvey, violin and viola, studied primarily with Estelle Kerner, and performed in masterclasses with Elmar Oliveira and David Cerone. She was a first place winner in the Bournemouth Music Festival Competition, and has premiered works by Ciach, Koprowski, and Clearfield. A dedicated teacher, she teaches more than 60 private violin and viola students, with many of her students going on to pursue music as a career. Myanna has been the strings director at the Upper Moreland Summer Arts Program for the past ten years, and was music director and conductor of the Cheltenham Youth Orchestra. She was editor for a series of published violin books, has written a number of arrangements and compositions for string orchestra which have been performed by area youth orchestras, and has written and published eight books of string duets. As a member of the Philmore Ensemble, Myanna has performed in recital at venues such as the Reading Public Museum, the German Society of Pennsylvania, the Trinity Center for Urban Life, An Die Musik LIVE!, Sundays at Central, Swarthmore College Recital Series, and the Ethical Society of Philadelphia. She has performed lecture recitals for Columbia University and Barnard College. In addition to being a member of the Philmore Ensemble and the Musicalia Ensemble, Myanna performs regularly as violinist and violist of the Harvey String Duo. Myanna’s playing is featured on the compact disc release Duos and Trios from Five Centuries.